Truecaller has announced that it is integrating with Google Duo. This will allow users to make video calls from within the app itself. The new update will allow users to launch Duo for a video call via a button within the Truecaller app. 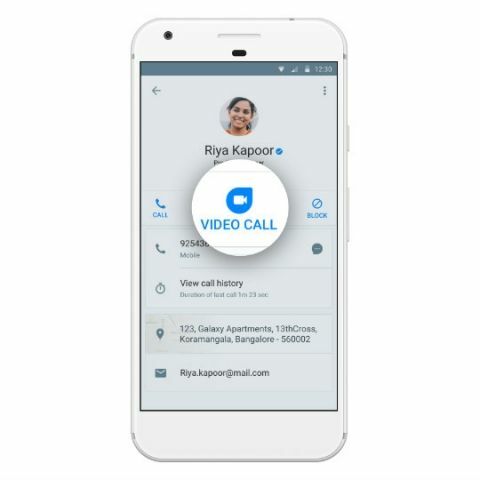 Expanding its feature set, Truecaller today announced its integration with Google Duo, allowing users to make video calls directly through the Truecaller app on Android and iOS platforms. The new feature will now make high quality video calling available to its 250 million plus users globally. This update enables users to launch a Duo video call with a single tap within the Truecaller app, and switches between WiFi and cellular data for uninterrupted conversation on-the-go. Truecaller integration with Google Duo is available for Android and iOS users as a permission-based service, by which users will be able to opt in and out at any time. Google Duo has also been rated as the highest quality video calling app recently by an NDTV Gadgets 360 study. Which is best software for video calling other than SKYPE ? how to store buffered video?